4k00:15Arches National Park, Moab, Utah. Young photographer with backpack and tripod passing camera and walking towards Balanced Rock at sunset. 4k00:20Arches National Park, Moab, Utah. 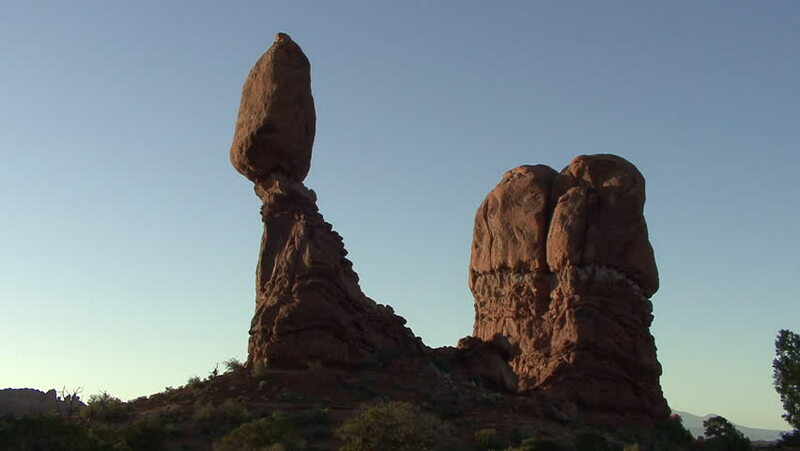 Balanced Rock against clear blue sky at sunset. Low-angle camera pans from right to left.